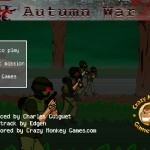 War Action Strategy Crazy Monkey Games Click to find more games like this. 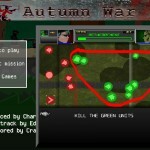 Your mission in this great tactical flash game is to command your troops in battle with hordes of zombies. 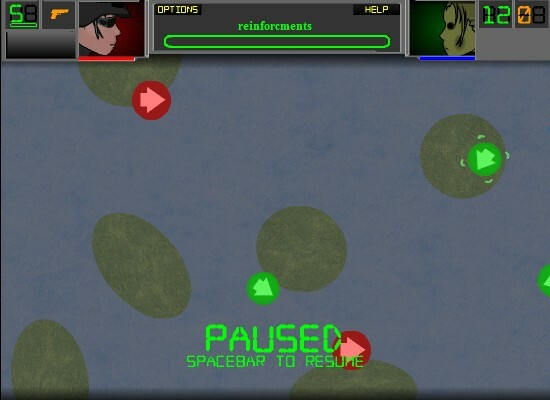 There is navigation screen with red and green units. 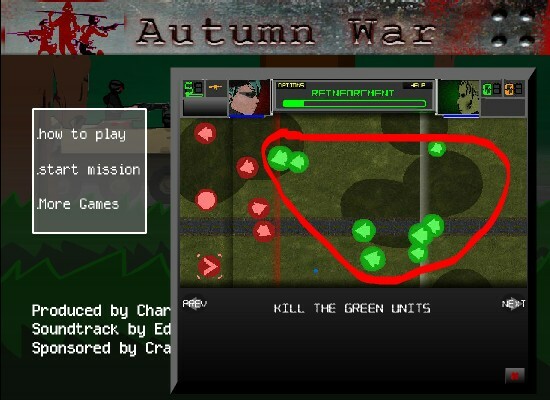 You lead red units to kill the green units. 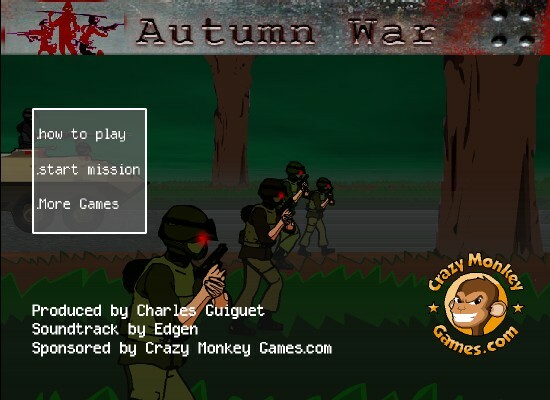 Use YOUR MOUSE to control your units, select them by clicking on them. 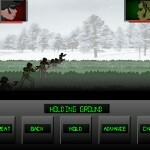 Move your units by clicking somewhere on the ground and attack zombies by clicking on green units. 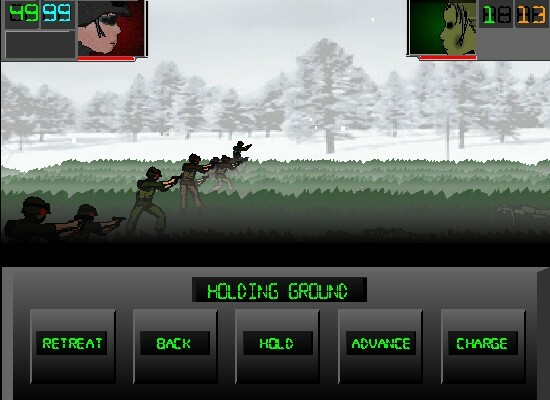 In the Battle screen you give orders to your soldiers. Be sure to watch in-game "how to play" section, you will get some useful tips there. Good luck!